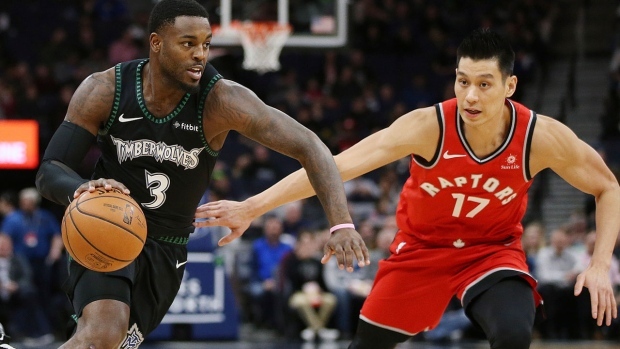 MINNEAPOLIS -- Kawhi Leonard scored 20 points and the Toronto Raptors closed their regular season with a 120-100 victory over the Minnesota Timberwolves on Tuesday night. Andrew Wiggins and Gorgui Dieng each scored 16 points for the Timberwolves, who played without All-Star centre Karl-Anthony Towns. Boucher scored 11 points in 10 minutes in the second quarter. Boucher's previous career best was the nine points he scored Dec. 28 against the Orlando Magic. Towns did not play because of knee soreness. Timberwolves coach Ryan Saunders said Towns would travel with the team for Wednesday's season finale in Denver and be a game-time decision.